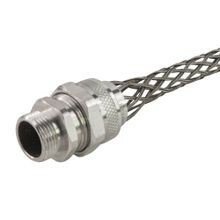 Remke RPG Series Cord Grips feature a Pg thread that mates with an internal Pg thread of an enclosure, machine, or other equipment being connected. Remke RPG Cord Grips can be ordered with or without stainless steel wire mesh attachments! Our RPG Cord Grips are UL Listed & CSA Certified for use in both indoor & outdoor applications to prevent cable pullout, control arc of bend and to provide a tight seal against environmental elements. These grips are offered in Pg 11-13.5-16-21-29-36-42 and 48 and can be ordered with or without stainless steel wire mesh attachments. BUNA-N O Rings, special configurations & larger sizes are available – please submit a Request for Quote. Remke Engineered Solutions is entirely focused on meeting the needs of a single customer. 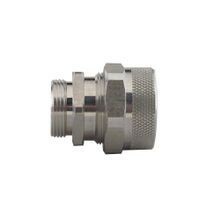 Our Job #1 is to develop application-specific, custom aluminum cable connectors that meet precise specifications.